SOURCE: TAMKO Building Products, Inc.
JOPLIN, MO--(Marketwired - March 28, 2017) - TAMKO Building Products, Inc. is excited to announce a new agreement with Guardian Building Products (GBP) to distribute Envision Decking in the eastern United States. "As Guardian strives to expand its presence in the decking category, we look for companies who not only solve real industry problems, but also provide a complement to us culturally," said Vendor Program Manager for GBP, Dan Parmelee. "We were fortunate to already have a great relationship with TAMKO for roofing, so it was a natural choice to look to them when we wanted to add a new composite decking line for several of our eastern branches." Executive Vice President for TAMKO, Tim Whelan said, "We have a long history of working with Guardian and we are thrilled about this recent distribution agreement which provides a new channel for TAMKO's Envision decking to reach customers as we look to continue our growth and success in the composite decking market." Guardian will stock TAMKO's Envision® and EverGrain® composite decking lines in its Cleveland, Ohio; Waterville, Maine; Baltimore, Maryland and Charlotte, North Carolina locations. Guardian Building Products, a wholly owned subsidiary of Guardian Industries Corp., is a leading two-step distributor of exterior building products. Through its network of distribution centers strategically located throughout the United States, as well as an established direct-from-manufacturer business model, Guardian Building Products serves pro dealers in the lumber and building materials industry. 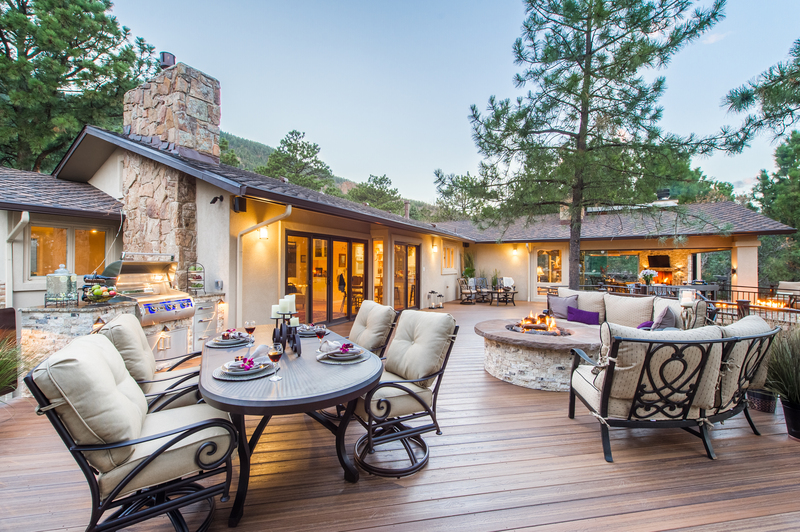 From decking to railing, TAMKO's composite lumber offerings provide homeowners with exceptional options to create a beautiful outdoor space where beautiful things happen. These offerings include Envision Distinction™, Envision Inspiration™, Envision Expression™, EverGrain®, Marquee Railing® and TAM- RAIL®. For more information, visit our Web site at www.EnvisionDecking.com. Note to editors and writers -- The correct capitalization of the company name is TAMKO, due to the fact that it is an acronym. The letters stand for Texas, Arkansas, Missouri, Kansas and Oklahoma -- the company's original trade area when founded in 1944. TAMKO's trade area is now all 50 states. About this company TAMKO Building Products, Inc.